Garage > Studio conversion. Any tips, valuable experience? I have a tandem garage (i.e. single width, double length garage) and am about to convert the back half into a guitar/recording studio. My wife is insisting, rightly so, that it is thouroughly soundproofed and I am looking at using a floating stud partition and walls with rock wool insulation to achieve this. 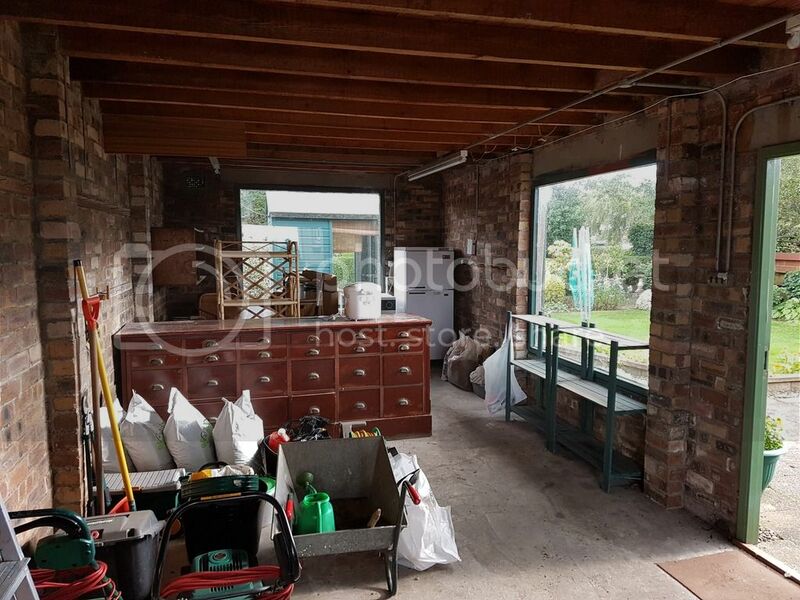 A major expense will be the requirement for two large windows which will need to be sound insulating as the back half of the garage has two single glazed windows currently. I'm sure it will be great once complete, but would be interested in any tips, experience from others who have done this conversion. P.S. I won't be doing the work myself, we are getting a new kitchen put in and getting this done at the same time by a reputable joiner. The studio will be from the post next to the light switches back. There's loads of info on the Sound on Sound forum. I went with a room within a room, stud as you're planning. Double layers of acoustic plasterboard and green glue between the layers. If you can a second interior door air lock styley is worth doing. You can get sound block boards .....I use Rockwool Flexi for insulation. +1 for Paul White and Hugh Robjohns. Thanks, will check out some You Tube vids and have had a nose in the SOS forum. Lots of good stuff. Funkfingers, that is an old pic from before I moved in. Had a complete rewire since then with the garage on a seperate ring, and no fridge/freezer. In that case, where are the musicians' refreshments going to go?